East Building, Level 3, #134765 - Rethink Robotics will be exhibiting its Sawyer cobot alongside two recent product developments at IMTS 2018: The ClickSmart™ platform and its family of gripper kits and the industry-leading software, Intera 5 with Intera Insights. Rethink Robotics' collaborative robots transform the way work gets done in manufacturing and distribution operations. 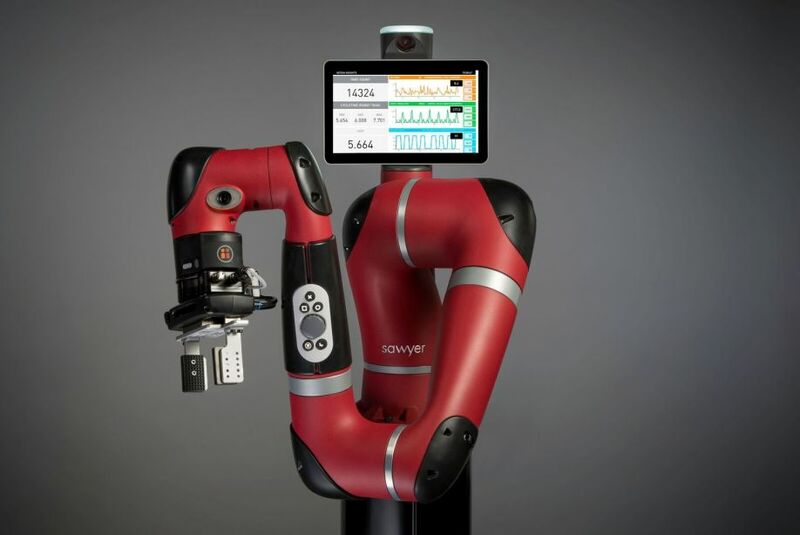 Powered by the Intera software platform, its Sawyer™ and Baxter® cobots can be trained and on the job in a matter of hours, are designed to work safely alongside people, and are highly reliable, adaptable and easy-to-use. Deployed globally, Rethink Robotics' cobots provide a cost-effective industrial automation solution to several of the toughest issues manufacturers face today, including a shortage of skilled labor, sustainable levels of quality and efficiency and an opportunity to automate a wide range of tasks on the factory floor. Based in Boston, the Rethink product suite is available in Asia, Europe and North America. The company is funded by Bezos Expeditions, CRV, Highland Capital Partners, Sigma Partners, DFJ, GE Ventures and Goldman Sachs. Robotics and automation are no longer restricted to certain areas of manufacturing – with the evolution of cobot technology, manufacturers can automate more tasks than ever before. As manufacturers begin to realize the benefits of automation in terms of quality, ROI and efficiency, demand for cobots will continue to grow. We’re here to help manufacturers see the benefits cobots provide, and ensure they deploy Sawyer on the tasks that will make an immediate and profound impact on factory operations. Rethink Robotics will be exhibiting its Sawyer cobot alongside two recent product developments at IMTS 2018: The ClickSmart™ platform and its family of gripper kits and the industry-leading software, Intera 5 with Intera Insights. Both designed with users in mind, Rethink aims to provide manufacturers with the high-performance automation they need while maintaining adaptability, safety and affordability. 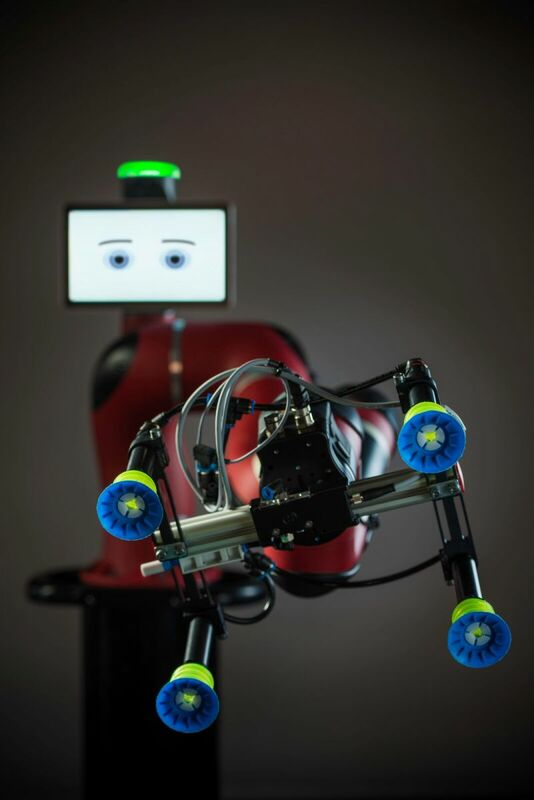 Sawyer is the fastest to deploy collaborative robot on the market and can be up and running in a matter of hours, without the need for a programming or robotics engineer. With a small footprint and built-in force sensing capabilities, Sawyer operates safely next to its human counterparts without any gating or fencing required. Attendees will be able to get demos and train Sawyer themselves throughout the show in our booth when they visit. We’ll be demonstrating the capabilities of automation and the benefits cobots can bring to manufacturing. Prior to cobots, manufacturing robots were large, expensive equipment that was kept behind cages, programmed by highly paid specialists, and purchased for a single purpose. Cobots change all that – they’re safe to be around, require a much smaller footprint, are easy to program and are inexpensive enough to provide a rapid return on investment. At IMTS, we’ll connect with attendees from various industries to showcase how automation can improve their manufacturing and production operations. We also expect to learn about the latest trends in the industry and gain a better understanding of our customers’ needs. There’s always something fun to do in Chicago. If you haven’t been before, take a walk along Lake Michigan to Navy Pier, and Millennium Park has the famous Cloud Gate. Friends Sushi on Rush Street is delicious if you get tired of deep dish pizza. If you dig the blues, check out Blue Chicago, a great live music venue with Goose Island on tap and great music every night of the week. Of course, being from Boston, we’re Red Sox fans, but Wrigley Field is quite an experience (almost on par with Fenway).